Fort Belvoir's history goes back to the founding of Fairfax County, the settling of Virginia and the beginning of our nation's history. The 8,656-acre tract along the Potomac River which now makes us Fort Belvoir was once part of a land grant from a 17th century English king. Control of the land, known as the Northern Neck, was handed the sixth Lord Fairfax. For the next 100 years the lands that make up Fort Belvoir passed from the Fairfax family through a series of other sales (including a public auction) and eventually in 1912 led to the acquisition of the property by the War Department. Fast forward to today and you find a thriving military and civilian community that is a significant presence in Fairfax County. Most people think of Fort Belvoir as a huge Army base which is true but it is also home to over 100 organizations including the Army, US Army Reserve, Army National Guard, Department of Defense and Department of the Treasury among others. Within the 8,656 acres that make up Fort Belvoir you will find an 1,360 acre wildlife refugee, 142 miles of roads, 1,275 buildings and 22,154 working military and civilian personnel. Many recent improvements to the roads, housing, shopping and recreation are clearly evident to anyone who takes a tour inside the gates. When you first arrive at Fort Belvoir's Tulley Gate (where you will need to register your car) and head into the base you will be surprised to find the new Town Center something that is a first on any Army installation. Designed to mimic an urban town center the same as what military personnel would find in many of the surrounding communities the town center features the offices of the residential community director, a Starbucks, a Rent-A Center store, a day spa, restaurants and residential units located above the stores. The next big change coming to Fort Belvoir will be the new state of the art hospital to replace DeWitt Hospital. When the announcement was made in 2005 that Walter Reed Army Medical Center would be closing it was obvious that the current would not support the almost 85,000 military and civilian patients that the area has. The new hospital will have 1.2 million square feet of space and have the facilities to support all of the new technologies needed for a leading medical facility. The new hospital will open in 2010. Word is still out on how and when the BRAC influx of personnel will officially begin though new jobs are starting to trickle into the base. The final decision on how many new building will be constructed, how many jobs will be relocated to the base Fort Belvoir, the Proving Grounds in Springfield or at a new facility by the Springfield Metro are still pending. When those decision are approved anyone coming to the area can expect to see even more changes than are already evident with the new town center and the Dewitt Hospital plans. So that is a quick tour of a few new and exciting changes happening at Fort Belvoir. There is a lot to see and do when you get here both in and outside the gates. If you have orders to head to Fort Belvoir this year give me a call. I'll be glad to help you with all of your questions about the area and show you around. Great Post, Thanks for the information. That's a lot to absorb. I'll keep it all top of mind. Keep up the great blogs. Nice information about the base. Obviously you know your way around the Fort Belvoir. Virginia is a beautiful part of the USA. Great information. Jerry-lots more to do inside the gates and outside too! Marlene-once they pin down the BRAC plans for Fort Belvoir the area could be hopping with new residents. Pat-Thanks I've spent some time inside the gates and my daughter was born at Dewitt. Kay-this is the time of year when Virginia is especially wonderful. Congratulations on a great post! Both your entries in the Military Relocation Contest did very well this week. Great work, Cindy. I'm sure the new hospital will be an incredible facility. 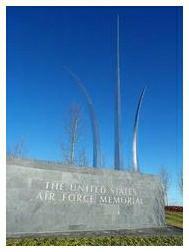 Congratulations, Cindy - This post is a bronze-medal winner in the Military Relocation contest! Cindy - Have you assembled all your military targeted posts into a single Military Relocation directory or package? I wanted to send a link to someone. Margaret-You can find them posted under Military Relocation Virginia. Let me know if you need anything else.